Inspire kids to eat their vegetables. 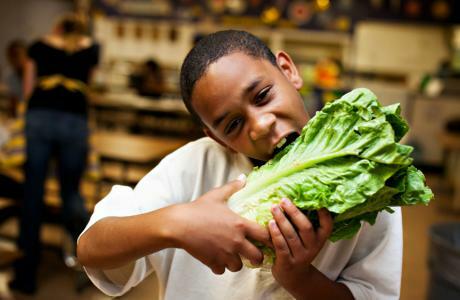 Only 4% of kids eat enough vegetables. We have to ACT NOW! 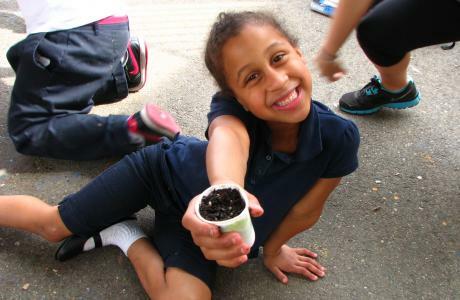 Through the Food Literacy Fund, our nonprofit can continue our critical mission of inspiring kids to eat their vegetables, and expand our programming to reach more kids in Sacramento. 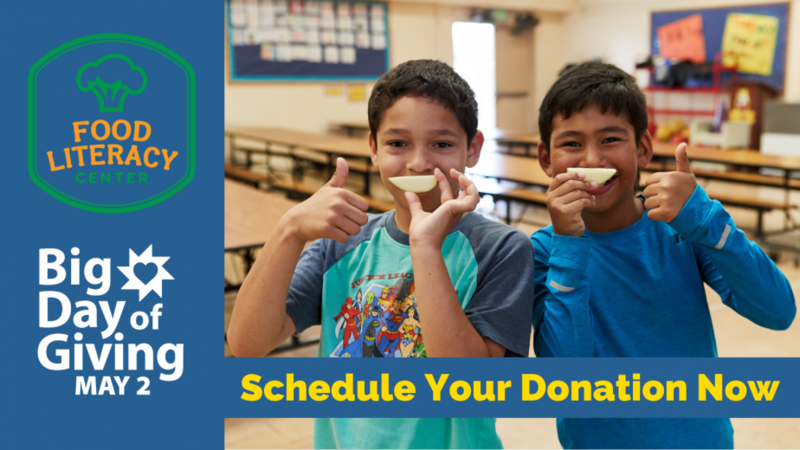 We need your help to ensure our kids make healthy food choices that last a lifetime. We provide weekly 45-minute food literacy classes delivered over 14 weeks in nine low-income elementary schools. In our classrooms, students learn fruit and vegetable appreciation, how to read a recipe, cooking skills – and they have fun. 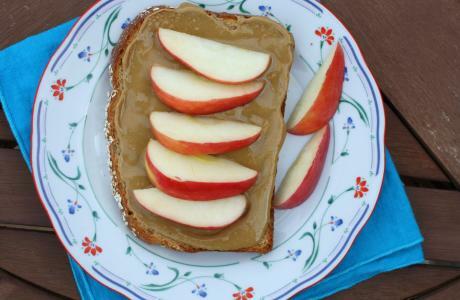 We are unique in that we use positive reinforcement, getting kids excited about fruits and vegetables through culturally appropriate recipes, and hands-on activities. We are changing kids’ attitude, knowledge and behavior toward healthy eating. Food Literacy Center is a nonprofit 501(c)(3) organization. Donations to Food Literacy Center are tax deductible to the extent allowed by law. Federal tax ID #45-3973268. 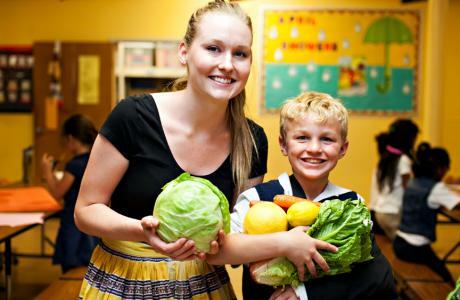 Our most innovative, scalable program is the Food Literacy Academy. We created the academy, which trains community members as food literacy instructors (we call them Food Geniuses) and allows us to expand our curriculum across the region and eventually the state. When we started this program, we were reaching 120 kids per week. After training our first 20 instructors, we reached 2,400 in one summer! Community members are asked to apply to the program. Applications are screened and students are selected for the intensive 28-hour training on topics of nutrition, food systems, food safety and specifically how to implement Food Literacy Center’s curriculum, which is based on positive reinforcement and having fun to inspire change. Upon completion of the course, students are tested to become certified Food Geniuses. In order to maintain their certification, trainees are asked to provide volunteer service by teaching food literacy classes. 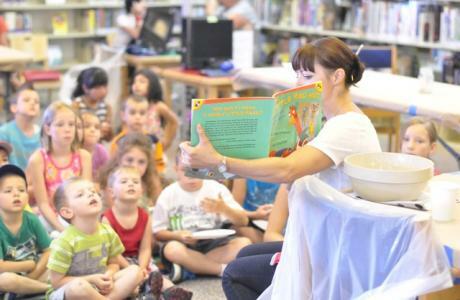 We now have 84 Food Geniuses helping in nine schools and programs in 28 libraries across Sacramento, Yolo and Placer Counties. 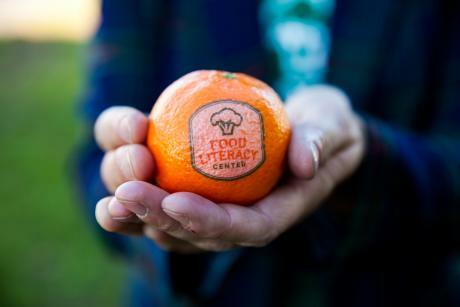 In 2016, Food Literacy Center received a nationally competitive AmeriCorps program award administered by California Volunteers and sponsored by the Corporation for National and Community Service. The award was renewed for 2017 and provides the nonprofit with 20 AmeriCorps service members who are then trained through the Food Literacy Academy, our intensive 28-hour training on topics of nutrition, food systems, food safety, and specifically how to implement Food Literacy Center’s curriculum. AmeriCorps service members are also responsible for recruiting and training community members to assist them with expanding to additional schools – inspiring more kids to eat their veggies! Food Literacy Center must match dollar-for-dollar the amount that is provided by Corporation for National and Community Service for our 20 AmeriCorps service members with community support. The AmeriCorps program costs us $40,000 more than provided—an investment we believe is worthwhile because it allows our program to expand.